Online gambling enthusiasts are in for a great ride as the top names in iGaming have finally welcomed Bitcoin as one of their accepted payment methods. Players and affiliates can watch out for the significant developments with the recent Bitcoin integration, and Betting Partners is among the first to get excited about the news. Betting Partners is the affiliate program that exclusively manages the promotion of select brands in the industry. Bodog Casino, which prides itself on its excellent reputation dating back to its beginnings in 1994, is one of the partner brands of Betting Partners. With Bitcoin already accepted on Bodog as deposits, players from supported countries can freely opt to use the cryptocurrency to fund their account and use the bankroll to play on the variety of games on board. Using Bitcoin can now entitle players to wager on their favorite casino games or explore their winning chances in other gaming sections like poker, sports, or horse racing. Avid bettors are still allowed to use their credit cards or other fiat payment systems, but having the Bitcoin system fully integrated presents a faster, easier, and safer way to play online. Bodog is not the only brand to have added the cryptocurrency. Its affiliate sites, which also happen to be working closely with Betting Partners, are also expected to benefit from the innovative payment technology now being implemented. 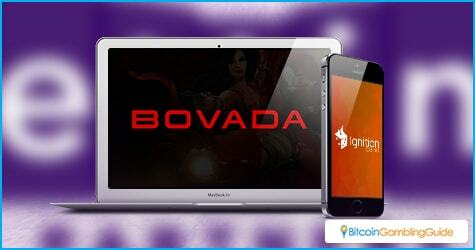 Bovada, which is known for its distinct presence in the online gambling market, is among the beneficiaries of the Bitcoin integration. Although it currently caters to Bitcoin deposits, the casino is expected to roll out Bitcoin withdrawals soon. This, however, is already the case with Slots.lv. 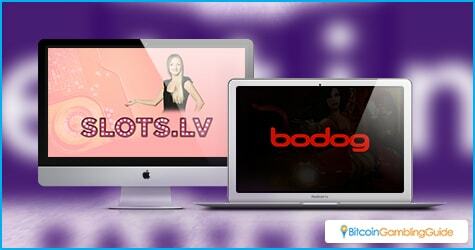 Betting Partners is also responsible for managing the affiliate program and the promotion of Slots.lv. This online casino stands out because it has successfully begun offering both Bitcoin deposits and withdrawals for its players from select countries. Slots.lv gives a premium on the wide range of slot games on board, together with the array of table games, video poker, and specialty games. What makes the network of brands managed by Betting Partners, though, is the fact that two more casinos have also opened their doors to Bitcoin—Ignition Casino and Café Casino, the latest one in the group. The addition of Bitcoin to these top casinos leads to the cryptocurrency’s further growth in the iGaming sector. Not only is Bitcoin restricted to casinos solely built for Bitcoin, it is now slowly becoming an attractive option for brands that started as a fiat-only casino. Similarly, the debut of Bitcoin deposits—and possible withdrawals for others—proves to be instrumental in achieving more goals and securing success. Bodog and its affiliate sites may already enjoy large following and favorable reputation, but their acceptance of Bitcoin will broaden their market. These spell more success to Betting Partners too, as its partner brands begin ideal venues for players looking into using Bitcoin for the online betting needs.